the amber threads blog: The holidays are here! I took a screen printing class at Techshop last week. I wasn't really prepared with an image to print onto my T-Shirt. So I hand drew the Amber Threads Logo at the class and then screen printed that! What do you think? Decently symmetric huh? 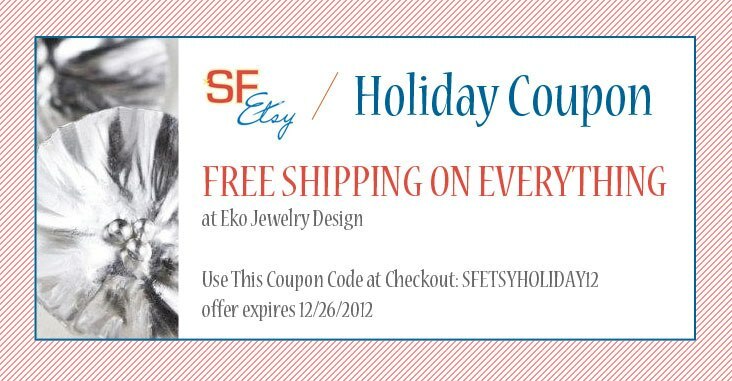 And hey the holidays are here! Well almost! 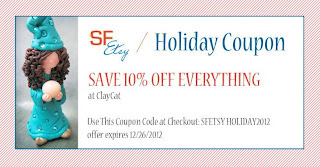 And here's a coupon from my store for 10% off your entire purchase until Dec 26th! 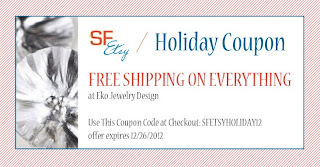 And don't forget to check out these other great SF Bay Area stores with great holiday offers as well!